Seeing the decline of the Philippine Stock market price? Are you one of those who are afraid losing money? Or you are already thinking of going out from stock market? Well check out my post below. All Equity Funds (Funds with high percentage invested in the stock market) in Mutual Funds are also affected by the sell-off which started from last week. In stock market we have two types of players, first is Traders and the next is long term investor. Traders or commonly known as “Tsupiteros” are those stock market players who highly depends on Technical Analysis, rumors, tips and other things that really affect the market price. They sell if they think the price is high and they will buy if they think the price is really low and they could gain from it. Being traders is riskier compared to long term investors who are doing cost averaging. So Who are Long Term Investor? They are investors who believes on the company that they bought, they believed that they can act as a partner of the company and they have a strong belief in the valuation of the company. They also believed that when the market is down, they should buy more shares because it will be higher on the next bounce of the market. They are also doing Peso Cost averaging, in which they buy shares whatever is the market status. When the market is down, they can have more shares and when the market is high then it will be fewer position provided same value of money is being placed in a constant basis. The Philippine Stock market is one of oldest stock exchanges in Southeast Asia, having been in continuous operation since its inception in 1927. 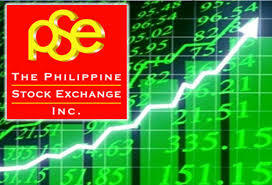 The main index for PSE is the PSE Composite Index or PSEi, which is composed of thirty (30) listed companies. The selection of companies in the PSEi is based on a specific set of criteria. There are also six additional sector-based indices according to Wikipedia. Just for my record today, a report from BPI Asset Management Market Watcher. The local equities market lost ground on persistent profit-taking due to valuation concerns. The PSEi lost 258.57 points to close at 6,763.38. All sectoral indices closed in the negative territory led by property (-4.96%), financials (-3.80%) and mining and oil (-3.72%). Market breadth was negative with 138 declines outnumbering 33 advances with 33 stocks unchanged. Total value turnover was at Php16.58 billion. 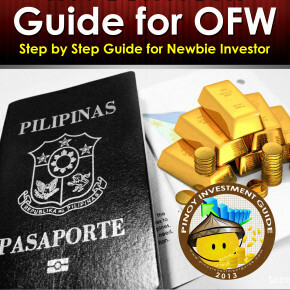 Foreign investors were net sellers at Php3.27 billion. Happy Investing… Just for the record my YTD falls to +18.23% at least I am still positive. Well said, Dexter. There is a good chance to profit from trading or investing (long-term). I think for majority of people looking to put money into the stock market, LONG-TERM investing is the way to go. Unless you’re really good at trading, the only entities who will from from said activity are the government (taxes) and brokers (commissions). It would be wiser to do your own valuation analysis or get a mentor who can help you with it. Looking at the long term allows you to ride the sometimes volatile waves of the market and still survive (and remain sane). I myself is on long term, I don’t have the luxury of studying the market since, my timing is different than Philippines and it is hard for me to monitor the Philippine market from Saudi Arabia. When is the best time to add up my investment? Like you I invested at COL. Anyway, I have UITF investments in BPI. All markets are down. share since its launch on May 20th, 2013. Hopefully, the market will recover soon. Welcome to my site, I am just busy the past few days, and i was not able to respond immediately in my comments.. But anyway good to know that you are already invested, it is now a perfect time for you to join COL since the market is down. Old investor is selling that Philippine market is now on SALE..
Ha ha ha, Timing is important in Trading..Which i don’t have time to study.. Long-term investing is my style as well. I prefer the “search and invest in excellent companies” (with money-cost averaging of course) and forget about it until years later (or unless some horrible things happen). From what I’ve read, the commission costs add up over time and they eat your assets whether you “win” or lose.